A card is freely chosen by a spectator, signed, and then returned to the deck. The cards are fanned out on the table and three cards are chosen by the magician and shown to the spectator in a fan. The magician then asks if any of the three are the chosen card, and the spectators answer, “no”. One card is now put sideways at a 90-degree angle and then slowly pushed right thru the other cards and it visibly changes to the chosen signed card. Super Clean. The film Clip shows the last part of the effect. A super clean effect that has been a favorite and a must in my close-up show for many years. Just add this to your regular deck, comes in Bicycle Red or Blue. Comes with everything you need to do this mind boggling effect. 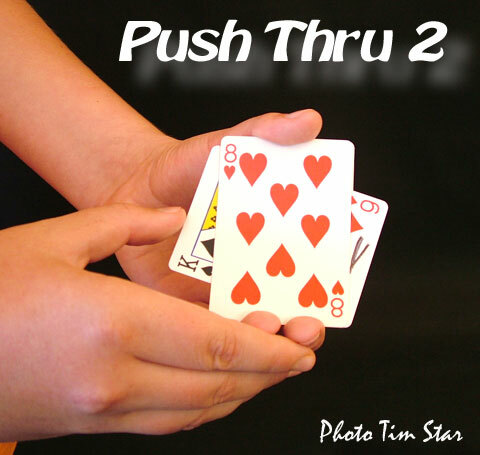 Click on view Film clip below to see the last part of Push Thru 2. Super clean. many other quality products that we make. 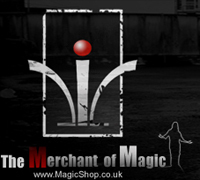 Merchant of Magic Ltd in the United Kingdom.